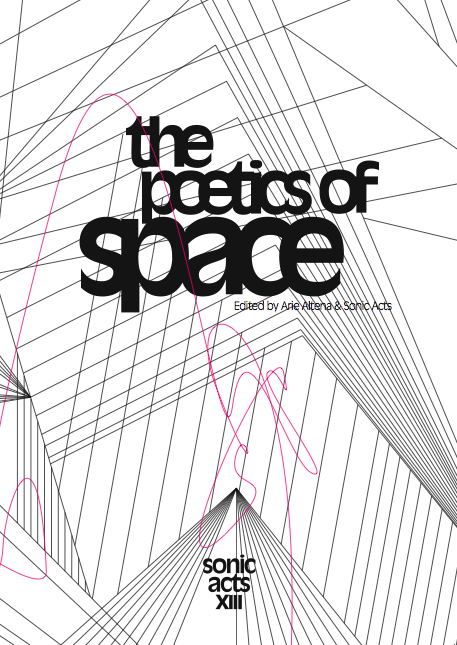 The interviews, essays and the image material in the publication Sonic Acts XIII, The Poetics of Space provide insights into the various approaches to spatiality by artists, composers, filmmakers and theorists. For The Poetics of Space Brandon LaBelle wrote a reflective and reflexive text on the voice and space: 'Voice Over'. Douglas Kahn's essay 'Long Sounds' discusses extremely long sound waves, volcano eruptions and Alvin Lucier. Erkki Huhtamo traces the fascinating history of dioramas in 'The Diorama Revisited'. The legendary Vortex concerts of Henry Jacobs and Jordan Belson are the subject of both Cindy Keefer's short historical account as well as a freer interpretative article by Trace Reddell. Eric Kluitenberg describes how mobile and location-aware technology profoundly changes the use of social and public space. 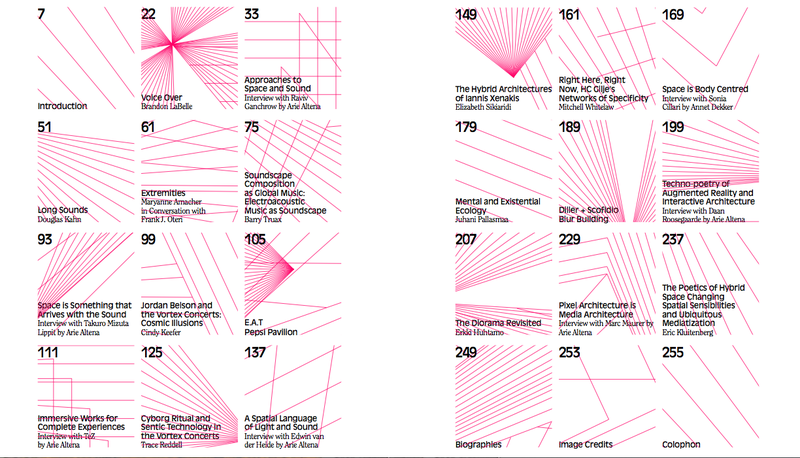 Mitchell Whitelaw writes about the work of HC Gilje; the Finnish architect Juhani Pallasmaa about architecture and the senses; and Barry Truax about soundscape composition. Interviews with TeZ, Raviv Ganchrow, Edwin van der Heide, Daan Roosegaarde, Sonia Cillari, Marc Maurer, Taku Mizuta Lippit and Maryanne Amacher shed light on how contemporary artists approach space and spatiality. The book is richly illustrated and contains a number of autonomous image contributions as well as some historical material.